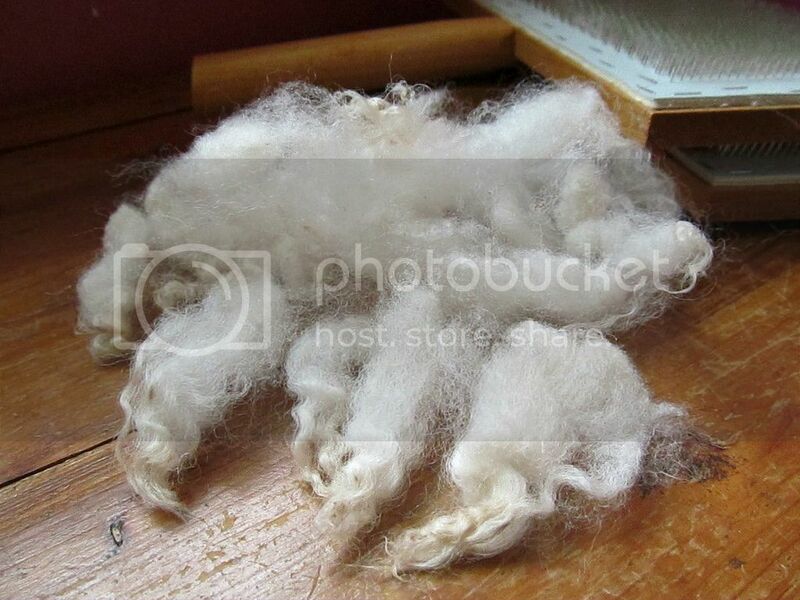 Wool and Wheel: All the fiber things. 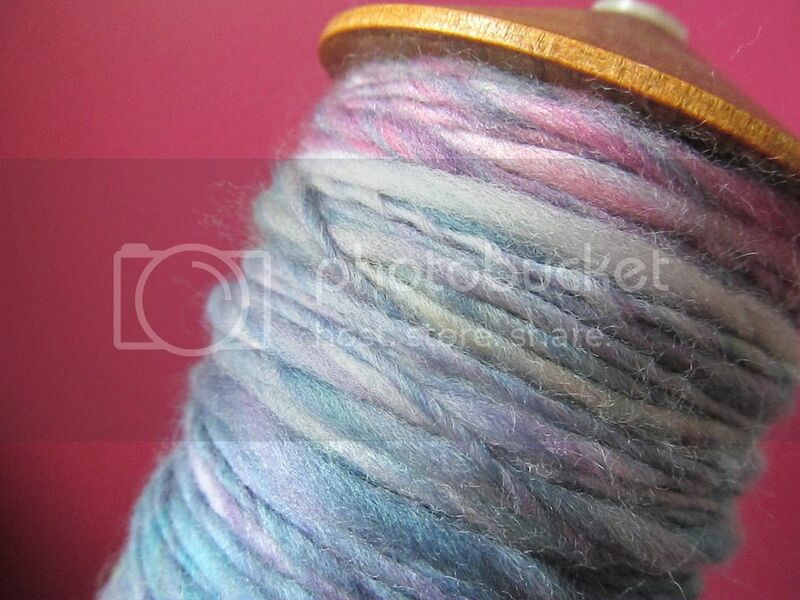 I need to finish spinning the other half of that dyed Merino fiber. Because I've taken on a new spinning/fiber prep project: some raw fleece from a couple of local Gulf Coast Native lambs. I've nearly finished washing it all, and I've started hand carding it. Theoretically I love the idea of carding, but in reality it's frustrating to me. I'm not good at it, and no matter how many videos I watch or pictures I see, I feel like I'm doing something wrong. But I'll plow through it because I can't wait to see how the fiber spins up! Oh, I love your Elder Tree shawl! 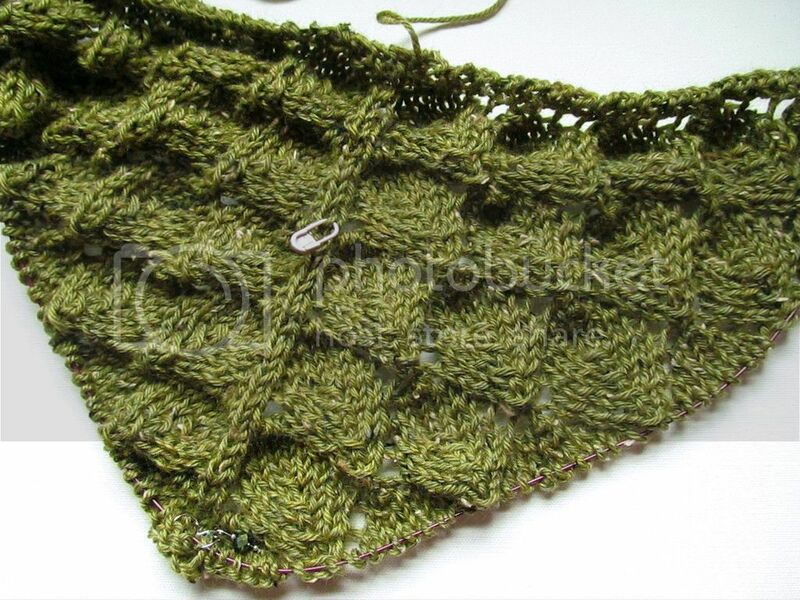 I'm planning on knitting the Lonely Tree shawl in green. I'm glad the chart isn't too hard, that kind of freaked me out. Your's looks amazing! Thanks! Yeah, I was pleasantly surprised by how simple the chart is. 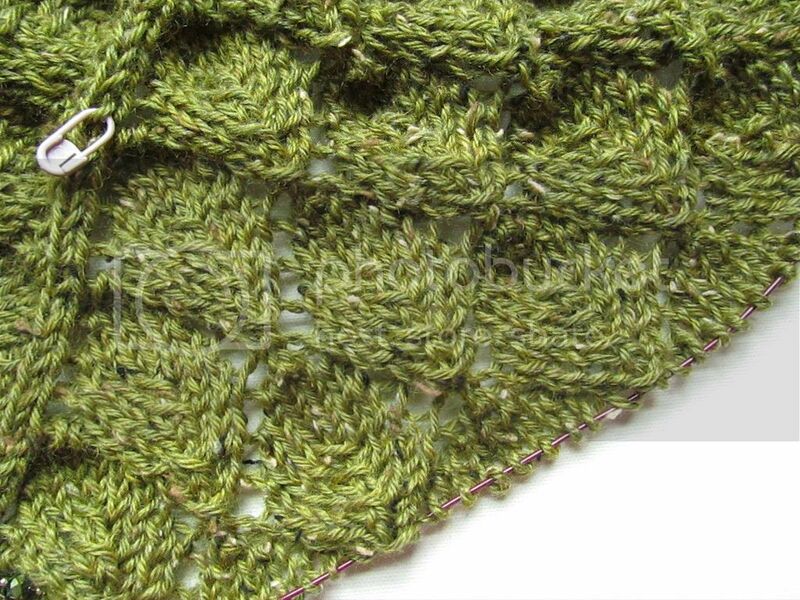 Looking forward to seeing your Lonely Tree shawl! 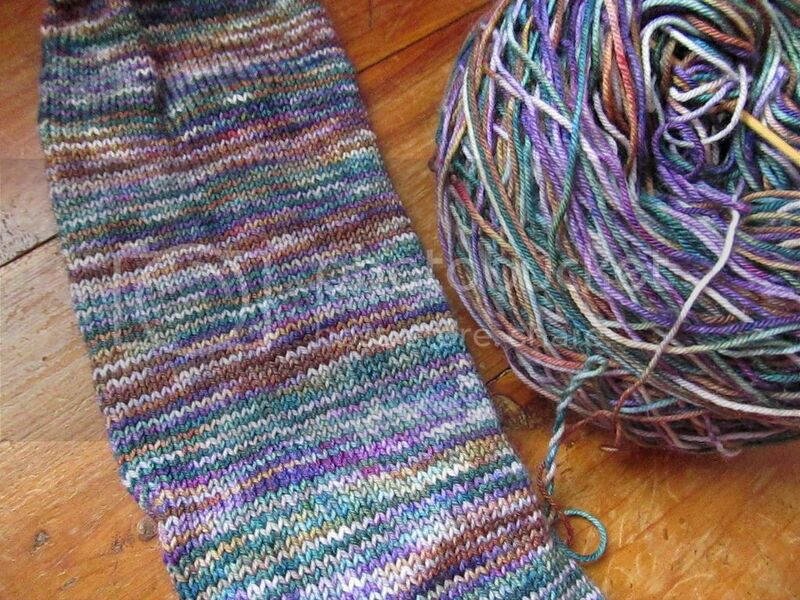 I like your sock rule - I keep buying sock yarn so I think I need to follow that rule too!